When your employee starts the first day of a new job, the onboarding paperwork can easily dampen their enthusiasm. New employees must complete tax forms, payroll or direct deposit forms, emergency contact forms, healthcare enrollment forms… The list is endless. You spend hours explaining benefits and procedures and signing documents. After all that paper shuffling, an employee benefits handbook still plays a critical role. Here are a few reasons why. When you offer benefits as part of a compensation package and your employee accepts them, you’ve executed a contract. In exchange for an employee’s time and effort, you offer a salary, health insurance, life insurance, a savings plan, or their choice of additional valuable benefits. It’s a valid contract and, as with most contracts, it’s best to get the details down on paper. Your employee benefits handbook can be a tangible reminder of why your company is a great place to work. It can document health coverages, explain how to submit claims, and review counseling services. An employee benefits handbook can explain procedures and confirm elections. It can provide tangible reassurance that when a crisis arises, your employee has options. The recent MetLife research study, A New Age of Benefits Engagement, documented a benefits “communication gap” between employers and employees. Two-thirds of the employees interviewed said they were confused about benefits. One-third said they didn’t recognize the value of the benefits offered. One consequence is that some employees are so confused about benefits they don’t participate. An employee benefits handbook can help close the communication gap and reduce the confusion. Many employees don’t have a problem accessing the internet for benefits information, but what about the ones who do? A recent Pew Research Internet Use study found that 11% of Americans don’t use the internet. Some don’t go online simply because they don’t want to. 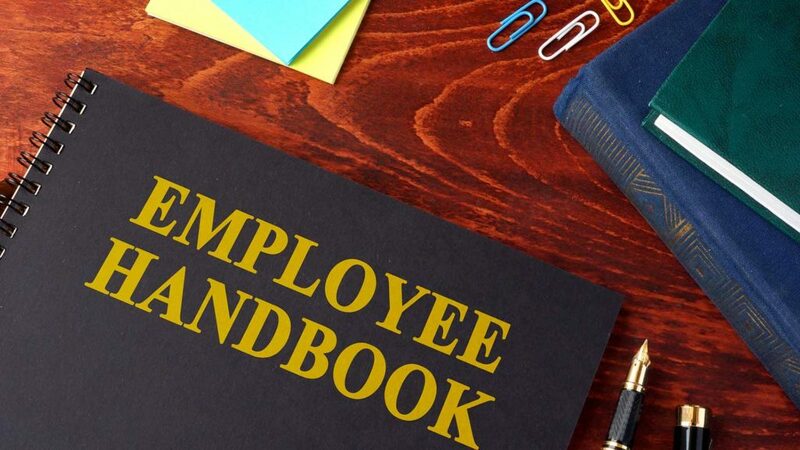 When the not-so-digitally-savvy employee wants to review employee benefits information, an employee benefits handbook is the best option. It can also work for internet friendly folks who lose their signal or get disconnected during a power outage. Employees in the MetLife benefits engagement study had no problem going online to check out their benefits, but they wanted more. 46% said they wanted both website access and an employee benefits handbook. When you want to guarantee your employees have complete access to employee benefits information, it makes sense to provide digital and hands-on options. Contact us to talk more about your employee benefits handbook options.